If you’re ever looking for international telecoms comparisons, this OFCOM International Communications Market Report 2014 – just published – is a good place to start. If you’re looking for Irish market data, Comreg have just published their Q3 quarterly market report. They seem to be getting slightly quicker at issuing them – this is the first one I’ve noticed to be issued in the following quarter. And finally, COMREG are starting to make underlying data available on their site http://www.comstat.ie/. There’s not much available yet, so let’s hope more is added soon. This entry was posted in Fixed-line PSTN telecoms, Mobile telecoms, Regulation, TV, Uncategorized on December 11, 2014 by Simon Rees. The telcos and the blow-in giants of the internet (Facebook, Apple and Google) are shaping up for a battle royal, and whatever the outcome, the world of telecoms will change for good. 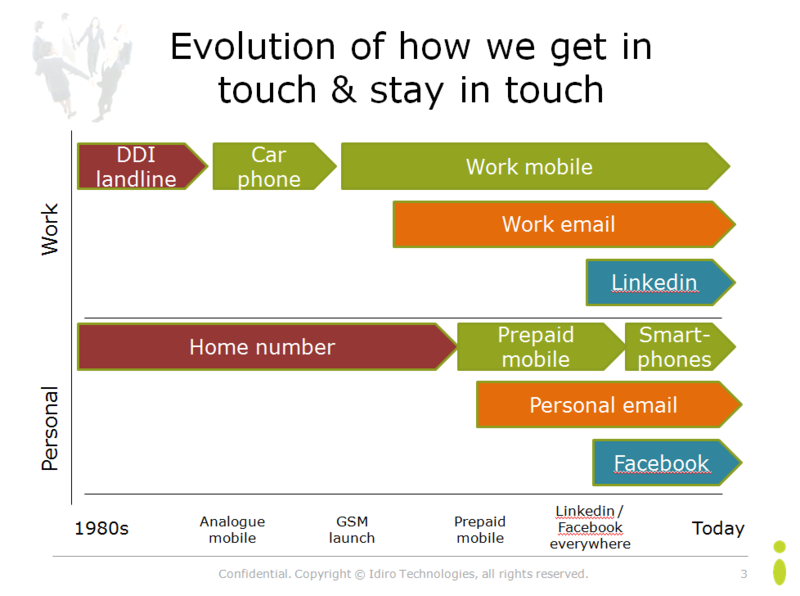 Will we soon see the end of the telco as we know it? Right now, the giants of the internet already have control of most of the devices that we use for our mobile communications. They are building a portfolio of internet-based communications services (Google Voice, Apple Facetime…) – or buying them (Whatsapp). These ‘over the top’ services are eating into telcos’ revenues, but the telcos retain control of their key assets – the phone number and the cellular network. The giants of the internet are active at the other end of the seven-layer model too – investing in infrastructure like subsea fibre-optic cables. 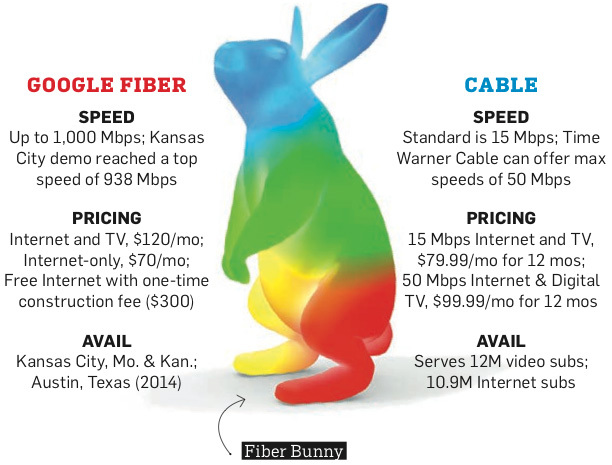 Moreover, Google has launched ‘Google Fiber‘, providing broadband service to homes in the USA – initially to Kansas City, and now rolling out to another 34 other cities in the USA. Interestingly the basic connectivity service is free – you just pay the $300 or so installation cost. Imagine a fixed line telco in Ireland offering that! But wait, there’s more. Yesterday (24th April) it was reported that Google are considering offering free wi-fi in those same cities. It is already (just about) possible to port your US landline number to Google Voice – so with an Android smartphone, a VoIP app and a landline number you can have cordless (though not truly cellular) coverage over public wi-fi. Calls might even be free of charge. The easy way into full mobile service is by becoming a mobile virtual network operator, or MVNO. Google is reported to have been in MVNO talks with US mobile operators Verizon and Sprint. It is of course only a matter of time before a mobile operator breaks ranks and does a deal with Google. Like Diarmait Mac Murchada’s pledge of allegiance to Henry II of England in exchange for support in his attempt to regain the Kingship of Leinster, such a deal is likely to be the thin end of the wedge. Already we see the integration of a SMS interface into Google Hangouts – encouraging the customer to to choose the more feature-rich and lower cost Hangout IM instead of sending an SMS. Will we see the same with voice calls over wifi? While the Irish MVNOs are owned by the likes of Tescos, the MNOs will sleep soundly. But Google as an MVNO? Be afraid, mobile operators. It used to be said that the telecoms industry had succeeded by sacrificing functionality for ubiquity – if the computer industry had invented the telephone, we would have all had colour videophones 30 years ago… but most of them would be unable to communicate with each other. The telecoms industry, however has achieved something very special – any phone number in the world owned by any phone company using any technology can be called from any other phone on the planet. What a great and unique achievement! However, if an intelligent terminal can handle a multiplicity of standards, perhaps this lack of functionality has become the Achilles’ heel of the telcos? Of course, there are many things that telcos do well that the internet companies can’t – like providing (almost) nationwide connectivity. However, their business is being eaten into by the Internet behemoths. The end of the telco as we know it is, if not nigh, then at least a likely scenario in the long term, perhaps even in Ireland. Interesting times ahead. This entry was posted in Fixed-line PSTN telecoms, Mobile telecoms, Over-the-top services, Regulation on April 25, 2014 by Simon Rees. 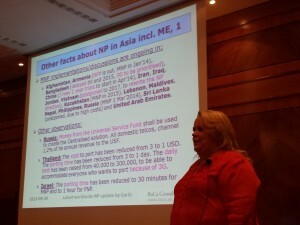 According to one well-respected speaker, 75 countries have implemented number portability (NP) on their fixed (FNP) or mobile (MNP) networks. Idiro has analysed data relating to porting customers in a variety of markets. I presented a number of insights (anonymised, of course) on the characteristics of porters based on multiple markets. I also described in detail the phenomenon of porting contagion. The power of word-of-mouth results in many consumers following their friends when they switch networks. This accounts for a high proportion of porting overall. Big thanks to my Idiro colleague Lorcan Treanor for the analysis behind these insights. Please contact Idiro to learn more about these insights. The SNA analytics service from my employers, Idiro, is a perfect fit for the marketing problems around mobile number porting. Idiro scores can be used in Member-get-member acquisition campaigns and in retention campaigns to reduce porting churn. I was chairman on the second day of the conference, which focussed on Service Portability. There is great interest in this topic – where the customer ports not only their fixed and mobile numbers but other elements of their package as well, up to the entire quad-play bundle. Though the concept is an appealing one, in practice the challenges are large. Imagine being a customer with a home phone, mobile phone, TV and broadband bundle, and moving it to a competitor. Every provider’s service bundle is different, and porting the entire bundle will require the customer (or the recipient operator) to make careful choices. In addition, speakers pointed out that the delay in porting different services will vary, so during a transition period the customer will be receiving some services from the donor operator and some from the recipient operator. Overall, the conference was well-organised and the speakers well chosen. 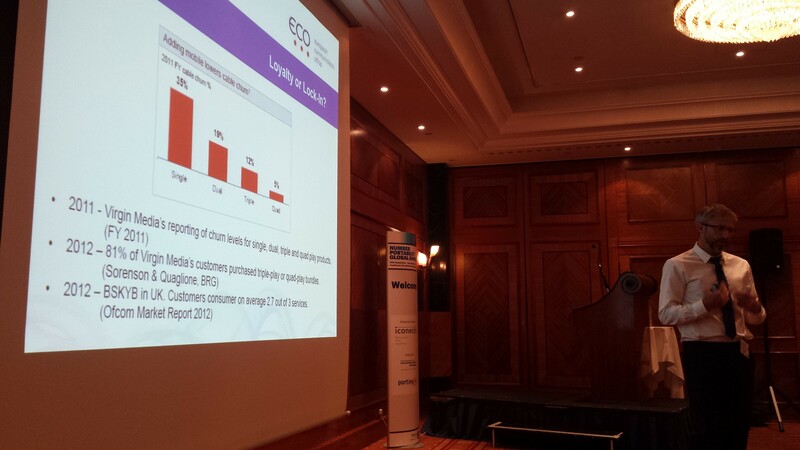 However, as with many other telecoms conferences, the voice of the customer was hardly heard at all. Quality was mostly described in technical telecoms terms, rather than the quality as measured by the user. Almost no primary or secondary research on customer experience was presented by regulators, operators or vendors. At the end of the conference (I missed one talk) I had learned nothing about consumers’ expectations for porting and how well they were being met. If the voice of the consumer is not heard, how will their needs be met? It was ever thus in the telecoms industry – or at least, it has been for the last 25 years – and it is a reason that OTT services like Whatsapp are eating SMS and MMS’s lunch. Despite being excellent in what it did cover, by its omissions this conference reminded me again of why the telecoms industry needs to cop itself on and develop a passion for the customer, or risk its share of customer communications being progressively eroded. This entry was posted in Fixed-line PSTN telecoms, Mobile telecoms, Regulation on October 12, 2013 by Simon Rees. OFCOM, the telecoms and media regulator across the water, has just published a comprehensive 200-page report entitled ‘Children and Parents: Media Use and Attitudes‘. So has the tide turned? Is the growth of mobiles and social networking among children driven to some extent by fashion? Certainly, one swallow does not make a summer – we will need to see whether these findings are borne out elsewhere – and moreover there is a lot of detailed information in the report behind these headlines. Time will tell whether this is a future trend. This entry was posted in Broadband, Mobile telecoms, Regulation on October 6, 2013 by Simon Rees. The latest COMREG quarterly telecomms market report is out. These reports are useful for anyone in the Irish telecoms industry. They cover fixed voice, mobile voice, broadband and broadcasting. Overall Irish mobile revenue is down 1.2% in the last twelve months (p. 6). The mobile penetration rate was 118.3% including mobile broadband and Machine to Machine subscriptions, and 99.5% excluding mobile broadband and Machine to Machine [M2M] subscriptions (p.8). Fixed voice subscriptions have grown 3.9% in the last 12 months (That seems counterintuitive – perhaps it’s being driven by the growth in converged bundles?). Two-thirds of all voice call minutes are from mobile (p. 12). No surprise there. There are 340k ‘Machine-to-machine’ subscriptions within the mobile base (p. 49) which equates to 7.4% of the lit SIMs. O2 have the lion’s share of the market (p. 60). Well done O2! Fig. 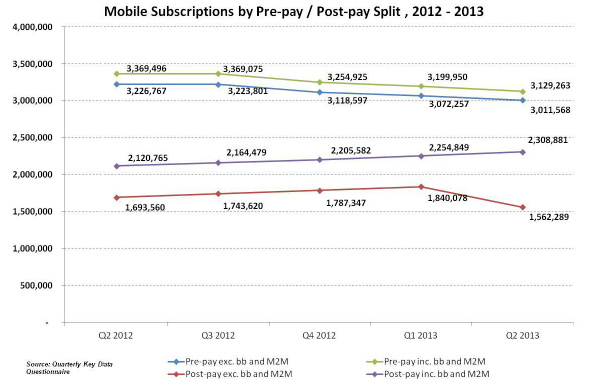 4.2.2 suggests the growth in postpay subscribers is coming from M2M and broadband subscriptions – interesting. It seems that if we exclude the data-only SIMs, prepaid voice is declining a little, and postpaid voice is falling faster. 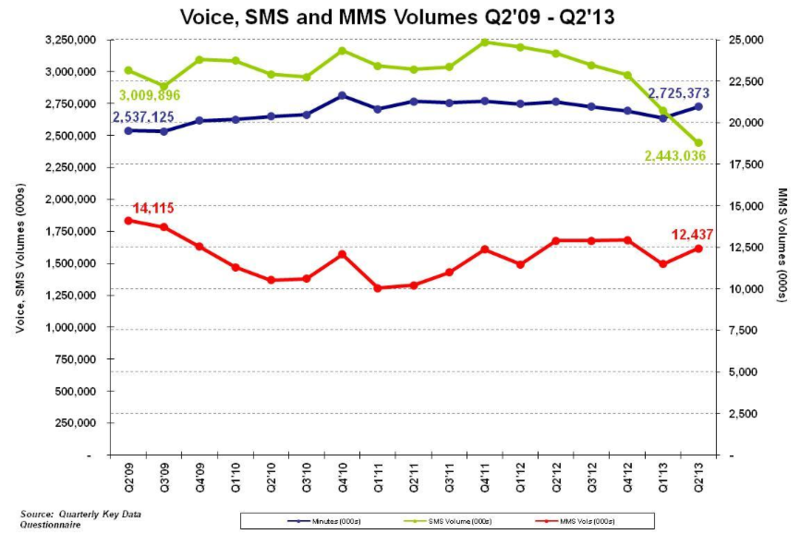 Fig 4.3.1 shows that voice minutes continue to decline, and SMS messages outnumber voice minutes for the first time. This has been a long time coming. I had lunch with a former CEO of Eircell last week, where he reminded me of the surprise in the telecoms industry when Eircell achieved half a million text messages a month. How far we have come! Moreover, the uptick in SMS volumes gives the lie to the notion that over-the-top (OTT) services are heavily cannibalising SMS traffic. Voice, SMS and MMS volumes over time. Source: Comreg. Eircom (Meteor & eMobile) report a 1% jump in market share in the last quarter (p. 62). Vodafone’s and Three’s ARPU outstrip that of their rivals (Compare the traffic market shares with revenue markets shares on pp. 62-63). Since mobile number porting started nine years ago, nearly 3 million ports have taken place. That’s over half today’s number of subscriptions. Overall, the quarterly report is a handy resource for telecoms industry professionals, and is worth a look through each quarter. This entry was posted in Mobile telecoms, Regulation on September 17, 2013 by Simon Rees. French regulator sees Skype as a telco – and why not? ARCEP, the French telecoms regulator,has decided that it wants to regulate Skype as a telco. See the link here and scroll down to the press release of 15th March. So, how should a telco be defined? Originating & terminating voice calls? Issuing numbers for receiving voice calls? Deploying switching & billing infrastructure? Market share of calls above x%? Deploying last-mile infrastructure? Which definition is in the best interests of Sean citizen? It seems to me that if MVNOs are regulated, then OTT players should be as well. This entry was posted in Over-the-top services, Regulation on March 17, 2013 by Simon Rees.